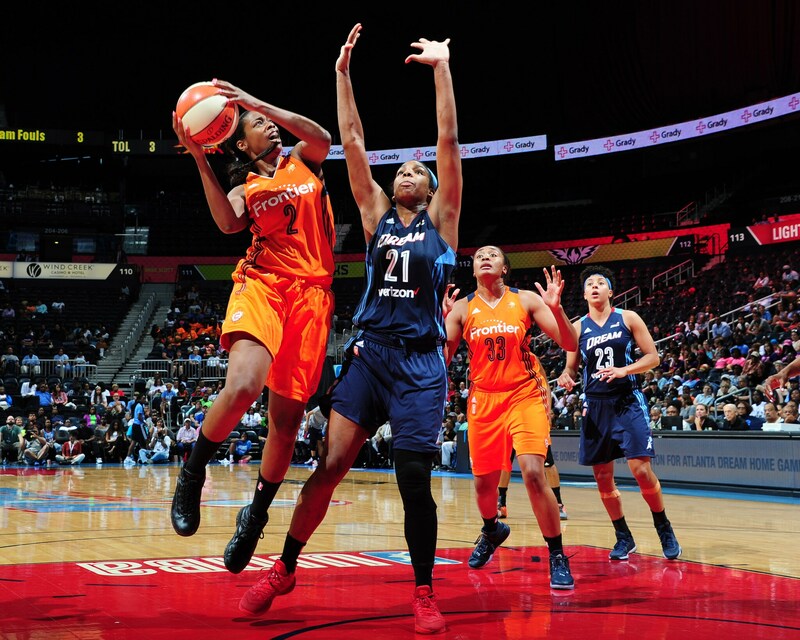 ATLANTA, GA - JUNE 12: Camille Little #2 of the Connecticut Sun shoots against Reshanda Gray #21 of the Atlanta Dream during the game on June 12, 2016 at Philips Arena in Atlanta, Georgia. 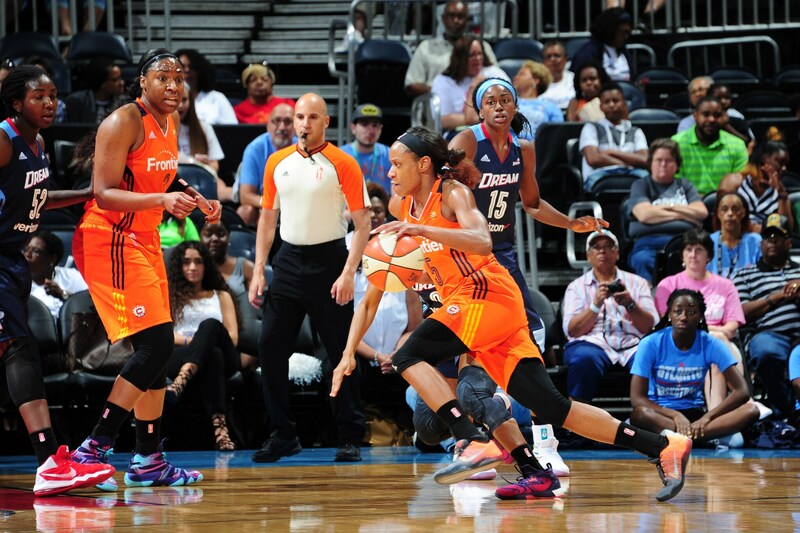 ATLANTA, GA - JUNE 12: Jasmine Thomas #5 of the Connecticut Sun drives to the basket against Layshia Clarendon #23 of the Atlanta Dream during the game on June 12, 2016 at Philips Arena in Atlanta, Georgia. 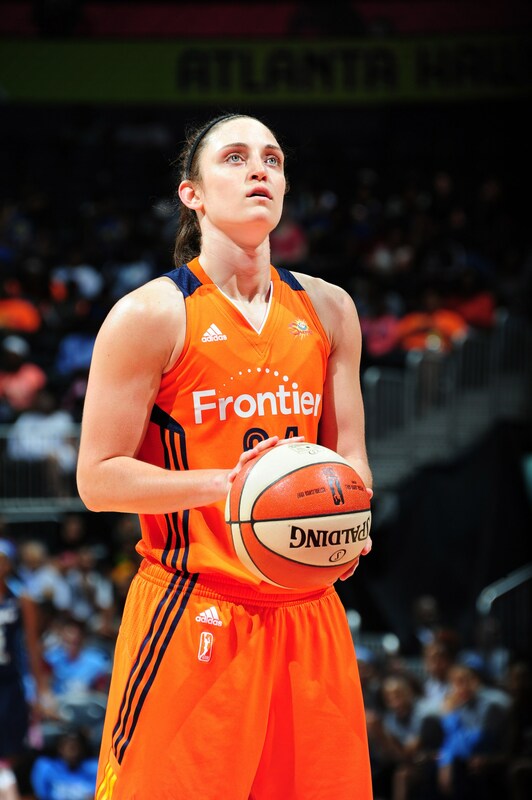 ATLANTA, GA - JUNE 12: Kelly Faris #34 of the Connecticut Sun prepares to shoot against the Atlanta Dream during the game on June 12, 2016 at Philips Arena in Atlanta, Georgia. 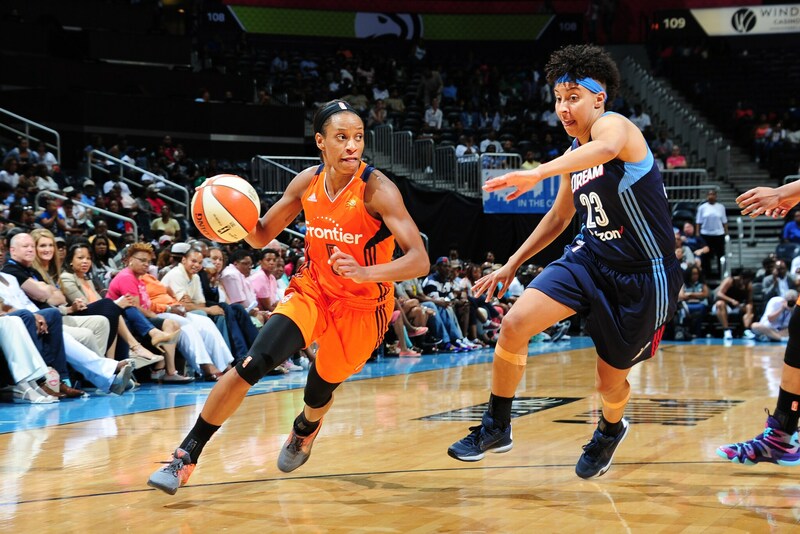 ATLANTA, GA - JUNE 12: Morgan Tuck #33 of the Connecticut Sun drives to the basket against the Atlanta Dream during the game on June 12, 2016 at Philips Arena in Atlanta, Georgia. 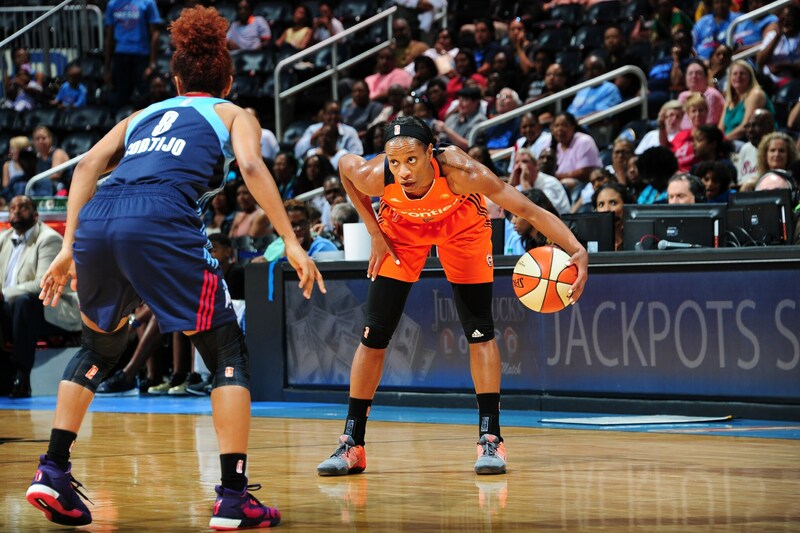 ATLANTA, GA - JUNE 12: Morgan Tuck #33 of the Connecticut Sun prepares to shoot against the Atlanta Dream during the game on June 12, 2016 at Philips Arena in Atlanta, Georgia. 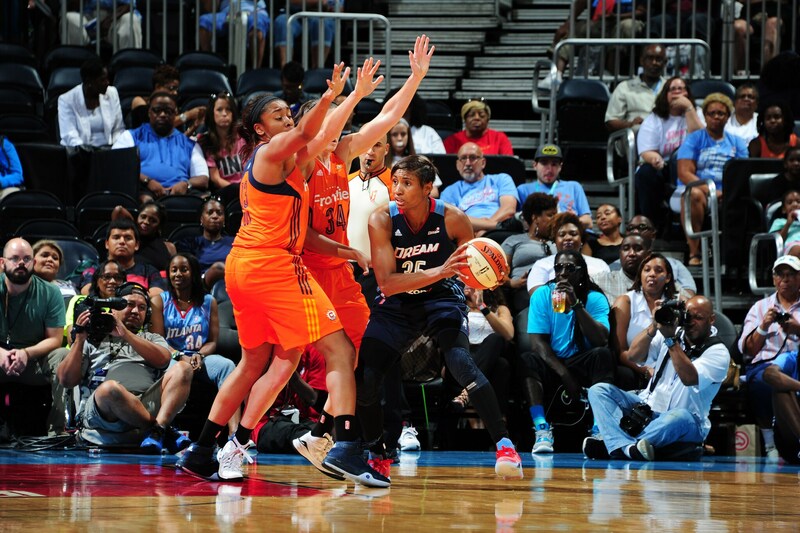 ATLANTA, GA - JUNE 12: Angel McCoughtry #35 of the Atlanta Dream defends the ball against the Connecticut Sun during the game on June 12, 2016 at Philips Arena in Atlanta, Georgia. 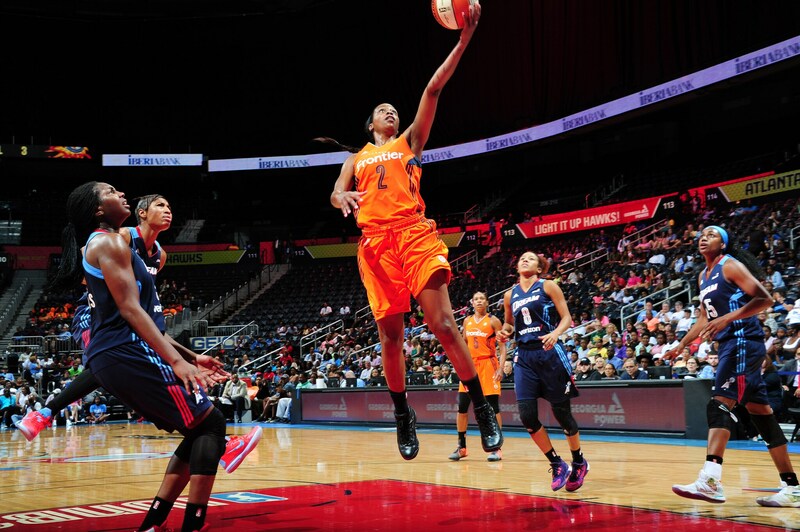 ATLANTA, GA - JUNE 12: Jasmine Thomas #5 of the Connecticut Sun goes for the lay up against the Atlanta Dream during the game on June 12, 2016 at Philips Arena in Atlanta, Georgia. 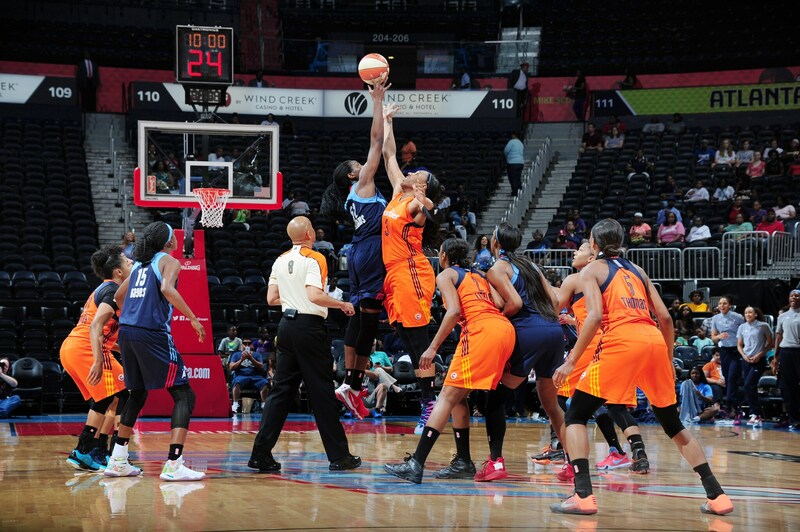 ATLANTA, GA - JUNE 12: Kelly Faris #34 of the Connecticut Sun shoots against the Atlanta Dream during the game on June 12, 2016 at Philips Arena in Atlanta, Georgia. 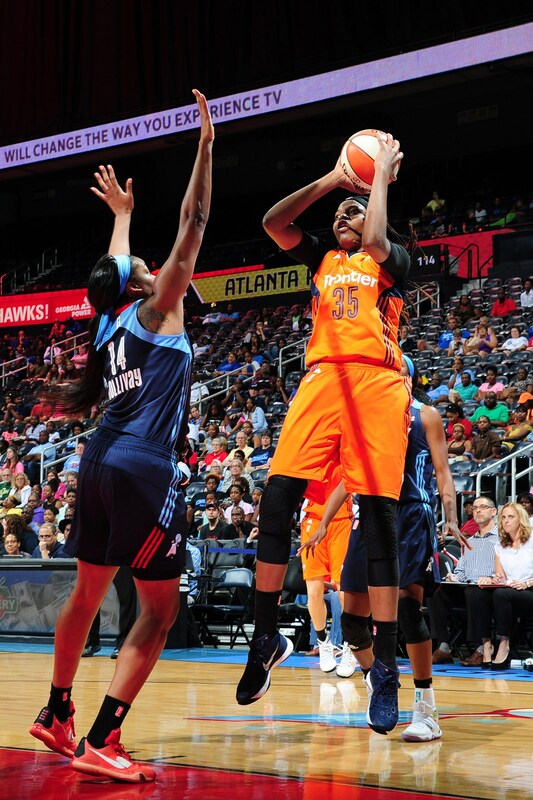 ATLANTA, GA - JUNE 12: Jonquel Jones #35 of the Connecticut Sun shoots against Rachel Hollivay #14 of the Atlanta Dream during the game on June 12, 2016 at Philips Arena in Atlanta, Georgia. 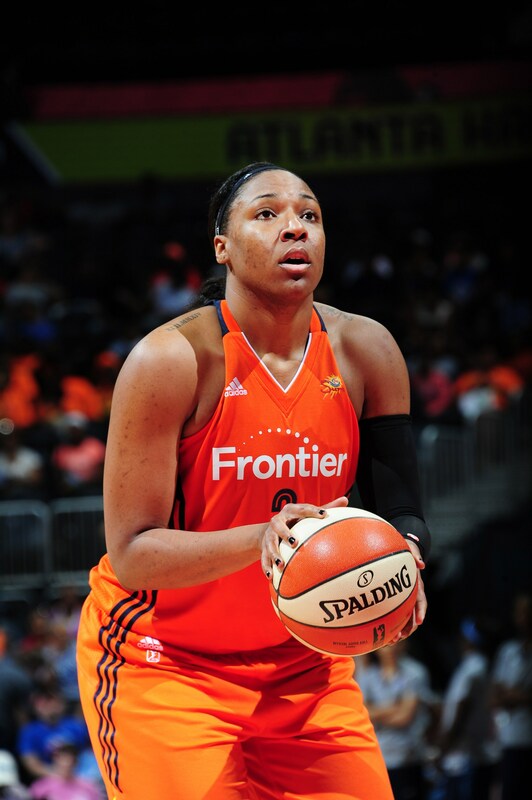 ATLANTA, GA - JUNE 12: Jasmine Thomas #5 of the Connecticut Sun defends the ball against the Atlanta Dream during the game on June 12, 2016 at Philips Arena in Atlanta, Georgia. 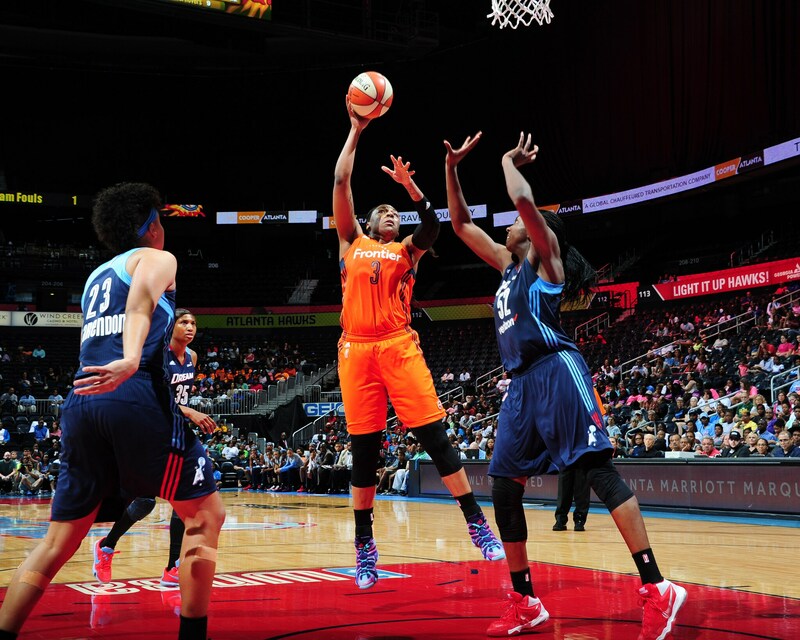 ATLANTA, GA - JUNE 12: Aneika Henry-Morello #15 of the Connecticut Sun goes for the lay up against the Atlanta Dream during the game on June 12, 2016 at Philips Arena in Atlanta, Georgia. 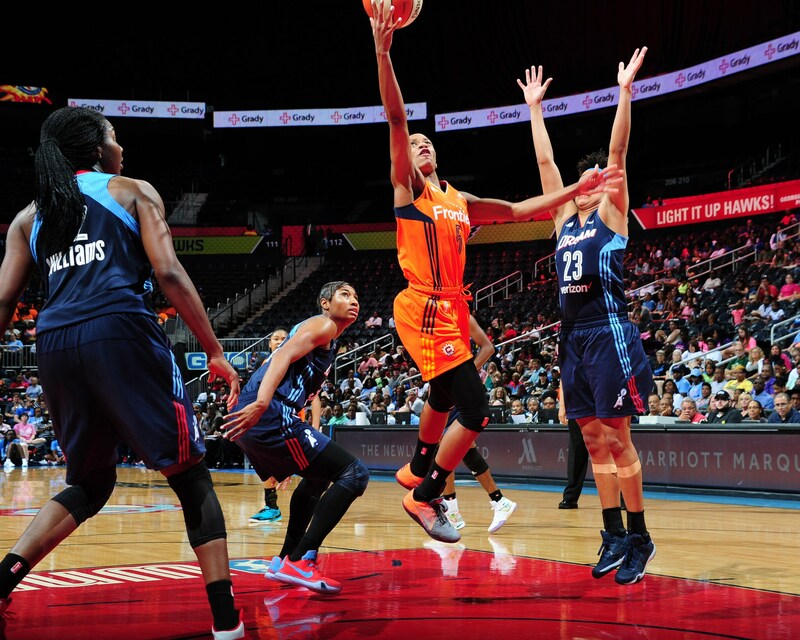 ATLANTA, GA - JUNE 12: Kelsey Bone #3 of the Connecticut Sun shoots against the Atlanta Dream during the game on June 12, 2016 at Philips Arena in Atlanta, Georgia. 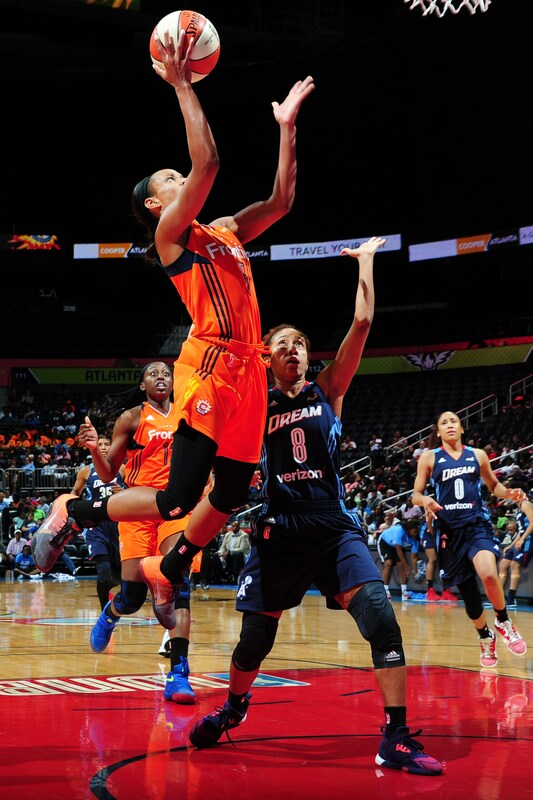 ATLANTA, GA - JUNE 12: Camille Little #2 of the Connecticut Sun goes for the lay up against the Atlanta Dream during the game on June 12, 2016 at Philips Arena in Atlanta, Georgia. 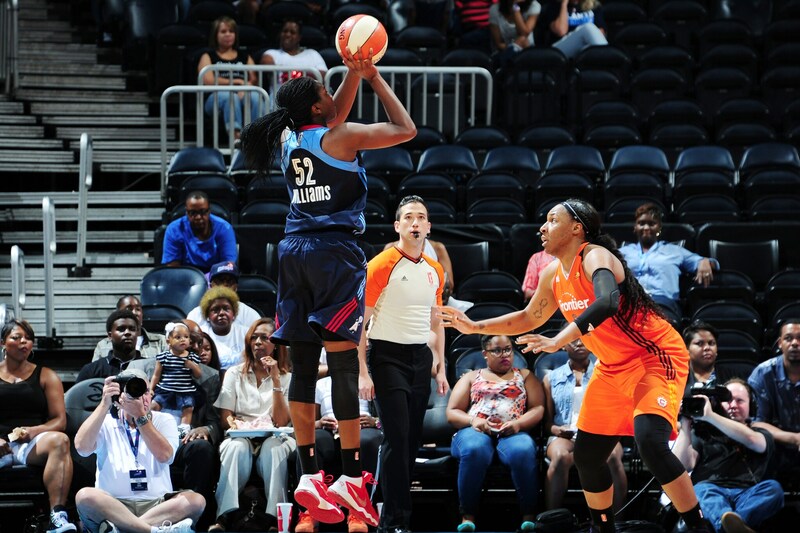 ATLANTA, GA - JUNE 12: Elizabeth Williams #52 of the Atlanta Dream shoots against the Connecticut Sun during the game on June 12, 2016 at Philips Arena in Atlanta, Georgia. 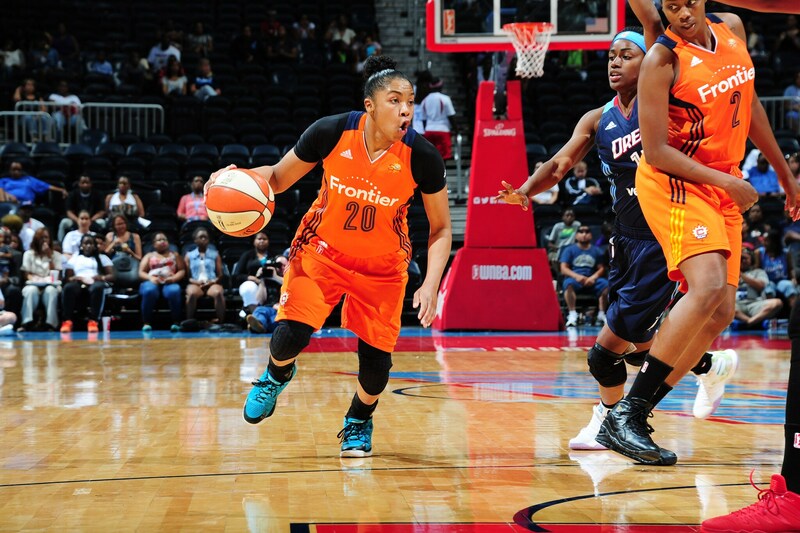 ATLANTA, GA - JUNE 12: Alex Bentley #20 of the Connecticut Sun drives to the basket against the Atlanta Dream during the game on June 12, 2016 at Philips Arena in Atlanta, Georgia. 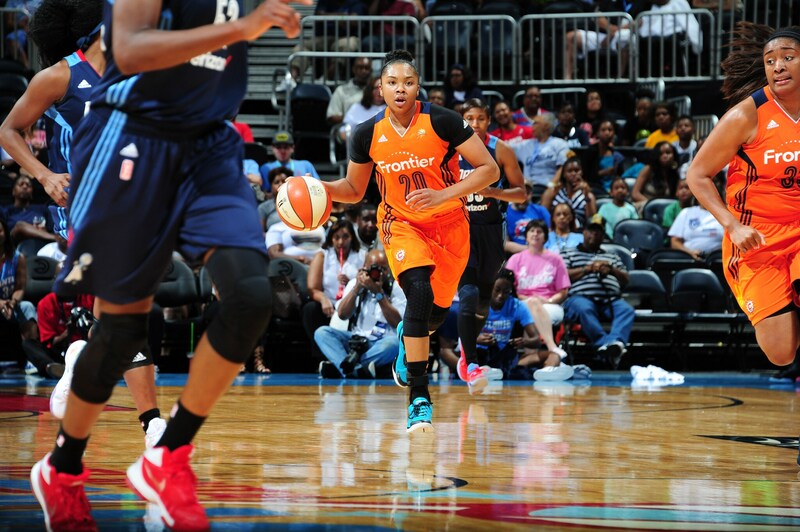 ATLANTA, GA - JUNE 12: Alex Bentley #20 of the Connecticut Sun drives to the bakset against the Atlanta Dream during the game on June 12, 2016 at Philips Arena in Atlanta, Georgia. 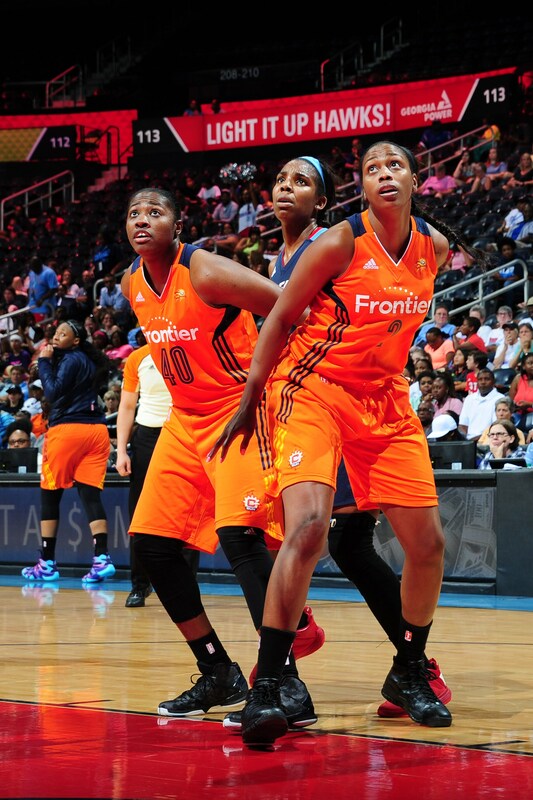 ATLANTA, GA - JUNE 12: Shekinna Stricklen #40 and Camille Little #2 of the Connecticut Sun defend the basket against the Atlanta Dream during the game on June 12, 2016 at Philips Arena in Atlanta, Georgia. 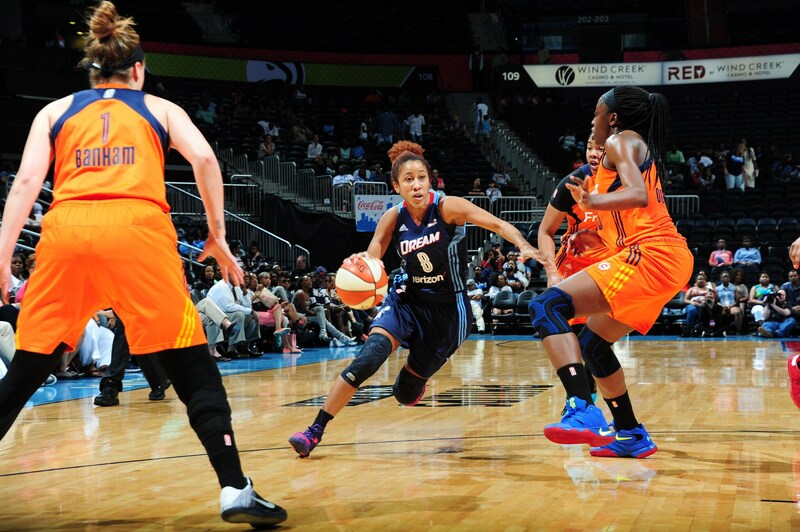 ATLANTA, GA - JUNE 12: Carla Cortijo #8 of the Atlanta Dream drives to the basket against the Connecticut Sun during the game on June 12, 2016 at Philips Arena in Atlanta, Georgia. 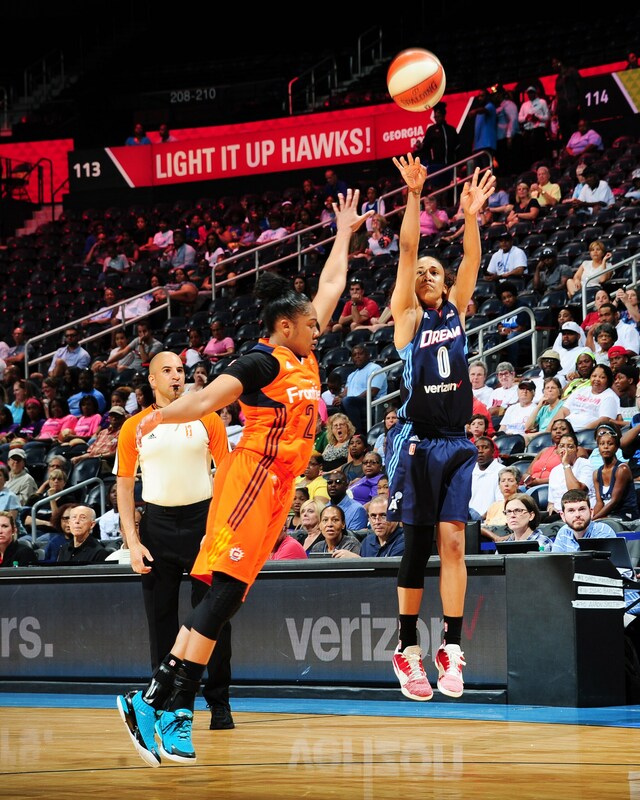 ATLANTA, GA - JUNE 12: Cierra Burdick #11 of the Atlanta Dream shoots against the Connecticut Sun during the game on June 12, 2016 at Philips Arena in Atlanta, Georgia. 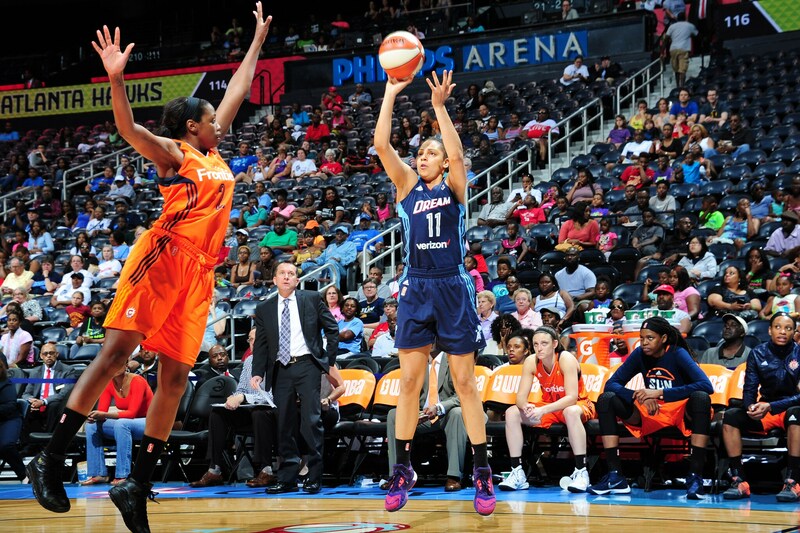 ATLANTA, GA - JUNE 12: Meighan Simmons #0 of the Atlanta Dream shoots against the Connecticut Sun during the game on June 12, 2016 at Philips Arena in Atlanta, Georgia. 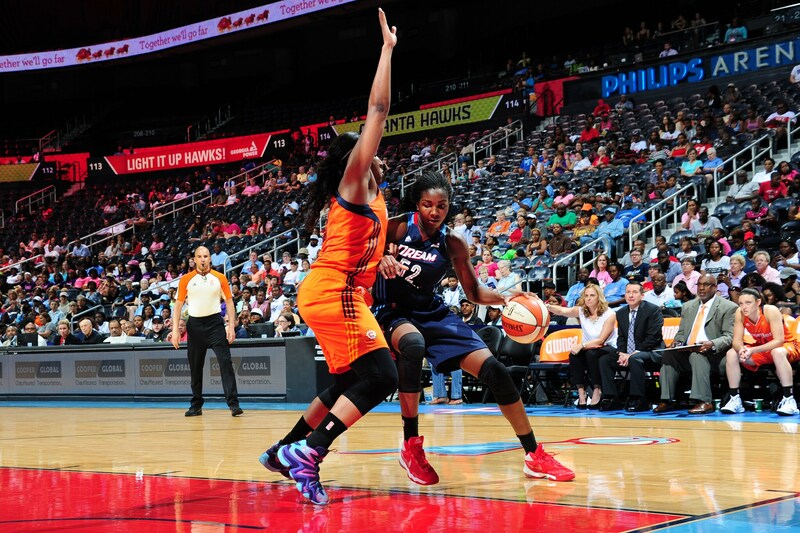 ATLANTA, GA - JUNE 12: Elizabeth Williams #52 of the Atlanta Dream defends the ball against the Connecticut Sun during the game on June 12, 2016 at Philips Arena in Atlanta, Georgia. 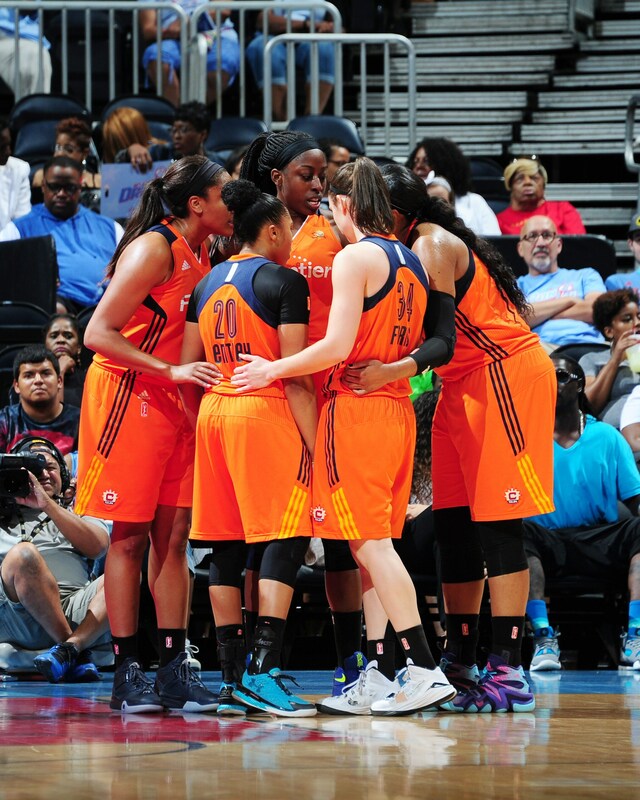 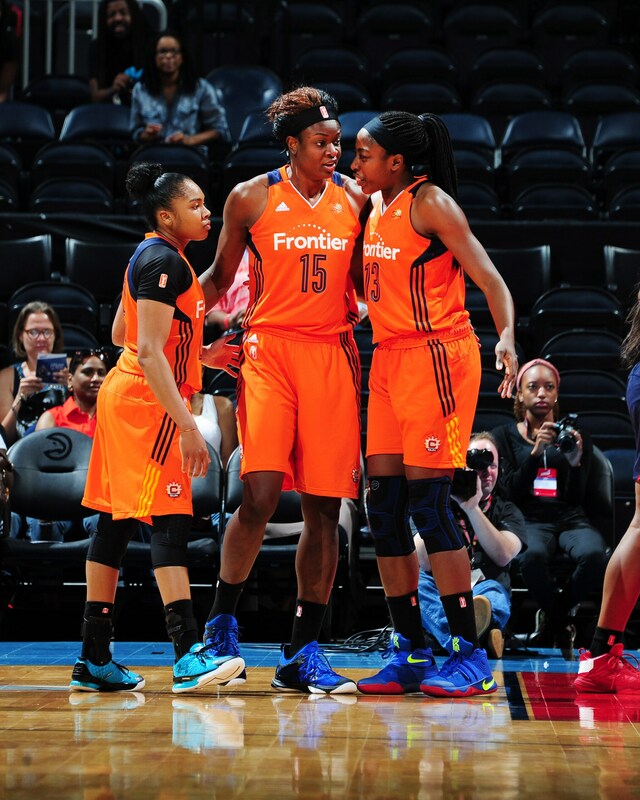 ATLANTA, GA - JUNE 12: The Connecticut Sun huddle after a play against the Atlanta Dream during the game on June 12, 2016 at Philips Arena in Atlanta, Georgia. 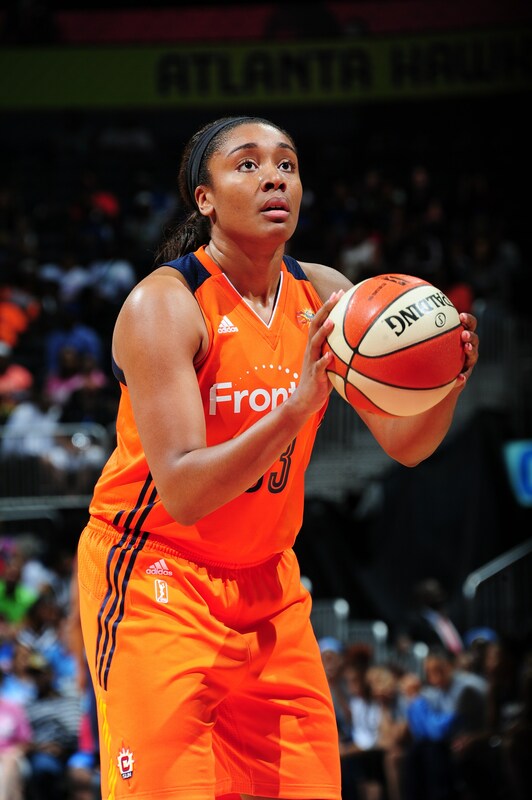 ATLANTA, GA - JUNE 12: Angel McCoughtry #35 of the Atlanta Dream shoots against the Connecticut Sun during the game on June 12, 2016 at Philips Arena in Atlanta, Georgia. 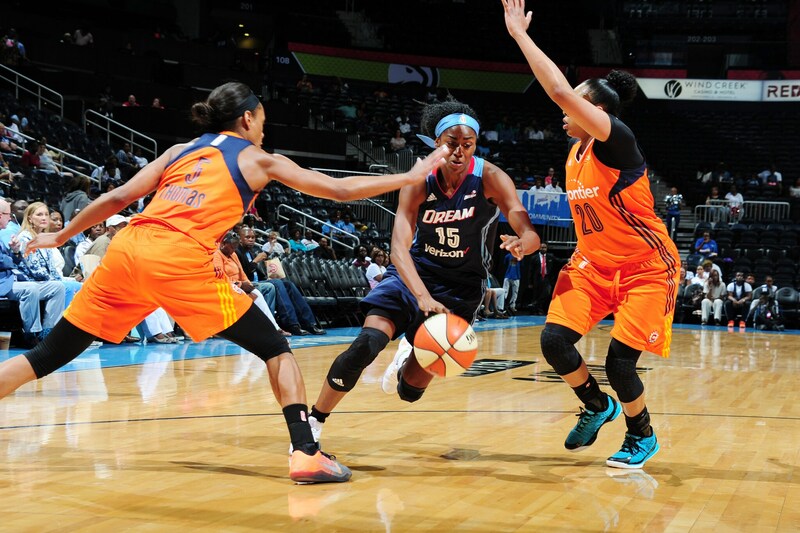 ATLANTA, GA - JUNE 12: Tiffany Hayes #15 of the Atlanta Dream drives to the basket against the Connecticut Sun during the game on June 12, 2016 at Philips Arena in Atlanta, Georgia. 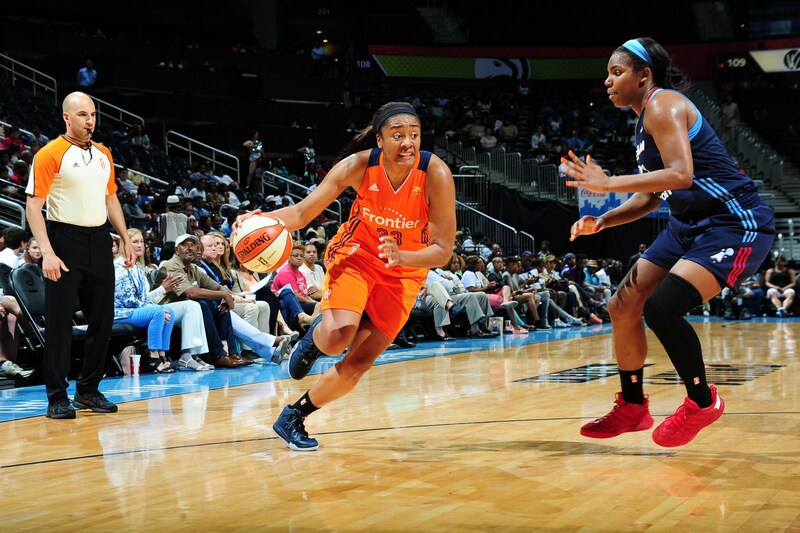 ATLANTA, GA - JUNE 12: Jasmine Thomas #5 of the Connecticut Sun drives to the basket against the Atlanta Dream during the game on June 12, 2016 at Philips Arena in Atlanta, Georgia. 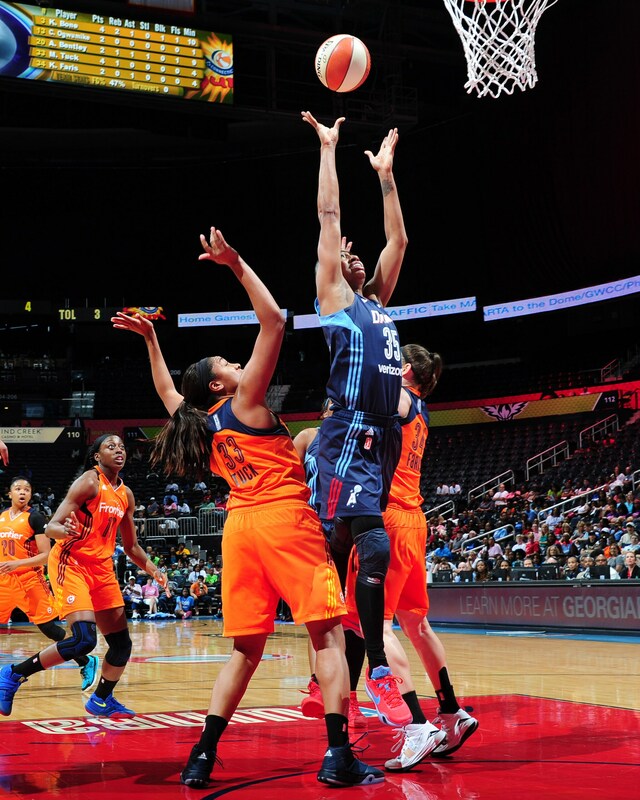 ATLANTA, GA - JUNE 12: Elizabeth Williams #52 of the Atlanta Dream tips the ball against Kelsey Bone #3 of the Connecticut Sun during the game on June 12, 2016 at Philips Arena in Atlanta, Georgia.